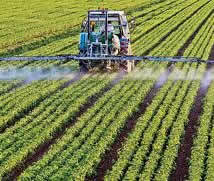 Chemicals are used in many different industries, from agriculture to pharmaceuticals. There is such a great demand for good suppliers of agriculture chemicals at affordable prices that it explains why our company has become so popular so quickly. People buy chemicals for many reasons. Homeowners buy hydrochloric acid for cleaning purposes; soap makers buy sodium hydroxide to mix with lard; chemical laboratories need a number of reagents; agricultural suppliers buy raw chemicals to make agriculture chemicals like fertilizers and pesticides. Whatever the reason for buying chemicals, people should use a chemical supplier that provides good quality products at a fair price and with a reliable delivery system. One of the most influential factors in purchasing agriculture chemicals is the cost, as buyers always consider the price of the chemical products, including the delivery charges. Cost-efficiency is important for many companies that are buying chemicals from suppliers because the price of the end product depends a lot on the prices of the raw chemicals you use. Delivery is another important factor. This is often why companies choose local suppliers but there are no problems regarding shipment or transportation of chemicals. You may find you will spend less with us even figuring in the cost of shipment. Take note that some trusted suppliers offer free transport, too. Perhaps nothing is more compelling than the product quality. The chemical industry invests in chemical grade. Chemicals that suffer from lower than standard purity or acceptability will not stay too long in the market as buyers usually demand reliable raw substances. Buyers can easily switch from one supplier to another if you are dissatisfied with your current one. If you’re not satisfied with your present supplier of agricultural chemicals or you are looking for a better price than you are currently paying for agricultural chemicals, give us a call. Our company is EzBuyAg.com. We’re an online service that connects you, the farmer, to the “source” of the agricultural chemicals you are buying, offering your better prices on chemicals often used in bulk. We have over 50 years of combined experience in the chemical business and work with all major manufactures, generic chemical producers and brokers across the U.S. to locate the lowest prices possible for you on all the common and not-so-common chemicals you require. We keep you informed when prices change and of potential shortages. We’re in direct contact with the entire “Chemical System” on a constant basis. We will work with you to help you make better decisions in your purchasing and avoid missing out on sales and potential programs that will benefit you and your agricultural needs. 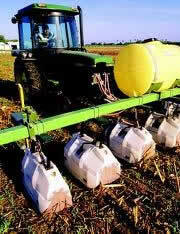 Daily, we post agricultural chemicals that we have in our inventory or that we have been offered. Present the price to us that you would pay “delivered” and we will take over from there. At any time you can make an offer on any products that you are looking for and we will try to accommodate you. Give us a call today. It’s simple and it’s free. Welcome to the new EZ Buy Ag Blog! Here we will be bringing you the latest news and specials in the wholesale agricultural chemicals industry. Please check back often or feel free to sign up for our Blog RSS Feed.